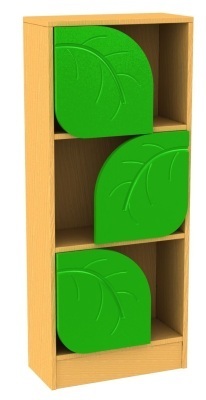 Tall and bright bookcase with inner integral leaves and two shelves, great for a classroom environment. The leaf shapes are designed to be easily recognisable to children. Great value item, manufactured in the UK.